It begins tomorrow. The excitement has been building for several months already, and the list of interested participants is long. All around the world people are digging out their tattered copies, or smoothing the covers of brand new books with eager anticipation. Perhaps they’ve already slipped between the pages of Mrs. Dalloway, unable to resist. 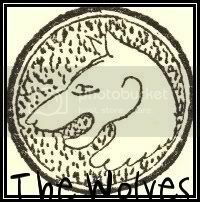 The official start of Woolf in Winter is January 1st, and the conversation commences on the 15th. Meet me back here for the first round of our 4 part group read. The list that I have gathered thus far is for people who expressed an interest in reading Mrs. Dalloway specifically, or all four books. If I’ve missed anyone let me know! I believe Frances has a more complete list of participants here, and if anyone is hearing of this for the first time there are more details here. Jess – Upward, Onward, Ho! This is a great list of bloggers, Sarah! Reading Virginia Woolf is a nice way to start 2010. I’m looking forward to reading everyone’s thoughts about Mrs Dalloway. Have a Happy New Year! I am going to spend my new years day starting Mrs Dalloway – really looking forward to it. Karen – Sounds like a great plan! It is 2 AM here, and as soon as blogging is all done. I plan on starting. 😛 What can I say? I’m super excited! 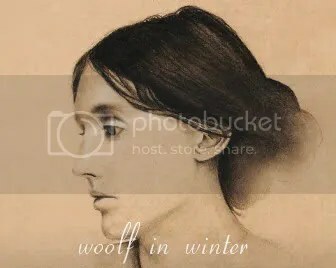 I would like to join Woolf in Winter Read. Starting with Mrs Dalloway. Please add me to the list. That is an impressive list of bloggers! I look forward to sharing my thoughts on Woolf with you all soon. Jackie – The list is exciting, isn’t it! Should be a great conversation. I had no idea there was that many people! Looks like I’ll be discovering a lot of new blogs. Hi. I’ve started a new book blog, so can you please change the link on your Woolf list? Thanks. Violet. EL Fay – I know, my Google Reader is getting more and more full!! Violet – Thanks for the update. I’ll fix the link. 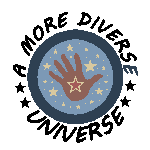 I am totally blown away by the number of participants! So exciting (and a little overwhelming). Yay! Emily – “Overwhelmed” is a good word for it, but I do like “exciting” better. I would never have guess this would be such a popular group reading event! Okay, I guess it’s time to remove Mrs. Dalloway from my TBR pile! I’ll join in at least for the first book, and we’ll see if I like Woolf enough to continue on! I think I’m going to play too, for Mrs. Dalloway at least. Never read Woolf before so I’ll have to see what I think of that first. Oh I just read this post today and would LOVE to join in if it’s not too late. I’ve never read Woolf and would love to. Lindsey – Sounds like an excellent plan! Amanda – Of course you can still join – Mrs. Dalloway is short, so I’m taking names right up until the 15th! I would like to take part in reading Mrs. Dalloway as well as the other three books, if you will have me that is! What a wonderful project. Thanks! Sarah, I have a silly question. Do we need to post about Mrs. Dalloway on the 15th? Or is the discussion going to take place on your blog in the comments? Jess – Sounds great. I’ll add you to the list!